According to the Pew Forum on Religion and Public Life, there are an estimated 630,000 Americans who practice folk religions. 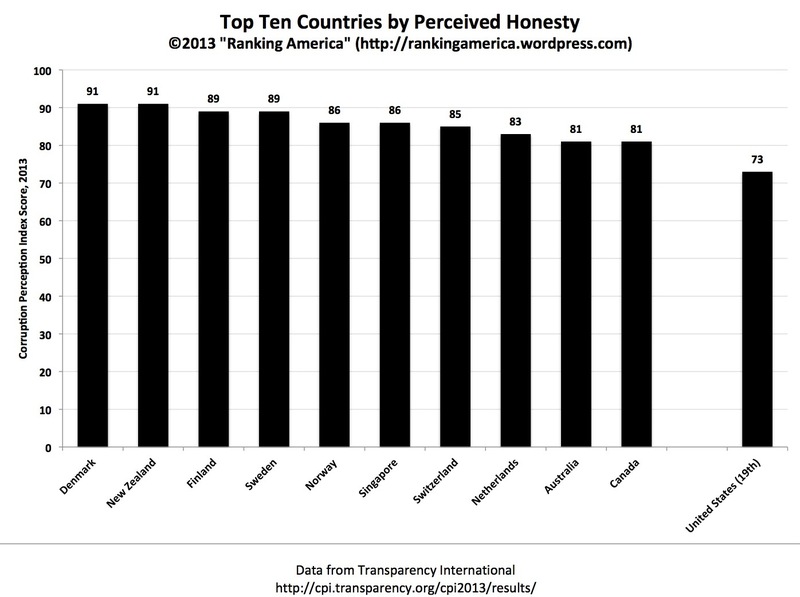 That is enough to make the United States rank thirtieth out of more than two hundred countries ranked in that category. 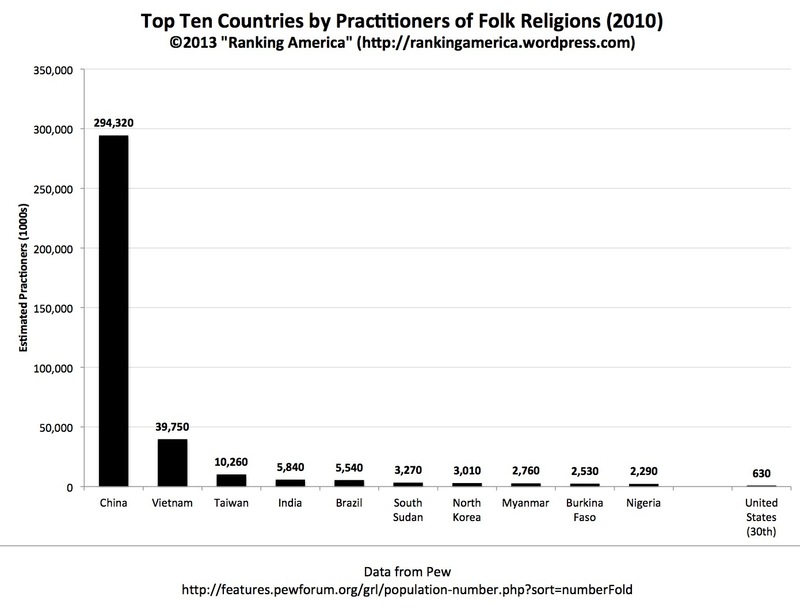 China ranks first, with an estimated 294,320,000 practitioners of folk religions. 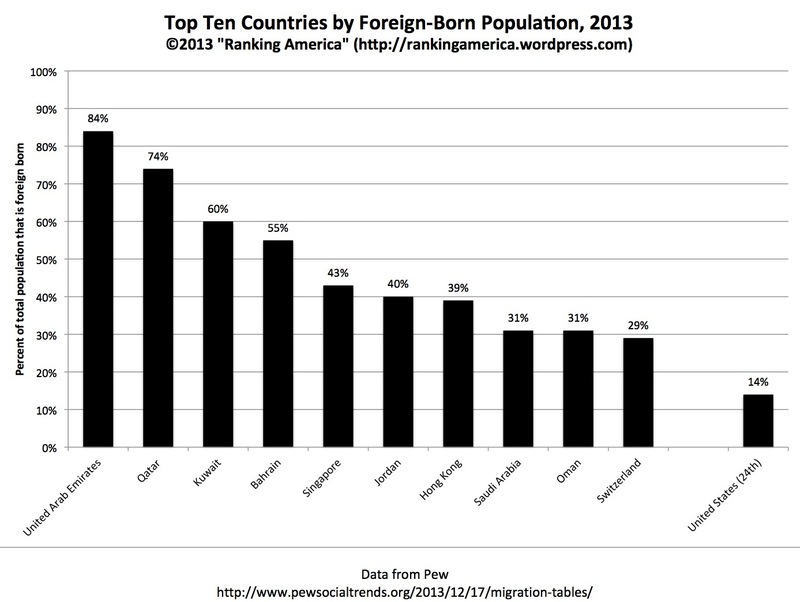 According to Pew, 14% of the population of the United States was born outside of the United States. That is enough to make the United States tied for twenty-fourth (with Latvia, Spain, and Norway) out of one hundred fifty-five countries ranked in that category. The United Arab Emirates ranked first, with 84% of its population being foreign born.